Trick or Treat. I made a piñata cake over the weekend and I’m quite happy with the way it turned out. Surprises are always my thing. That’s why I like my presents wrapped all the time. There’s a certain element of excitement in unwrapping the gift. Edible surprises are even better. 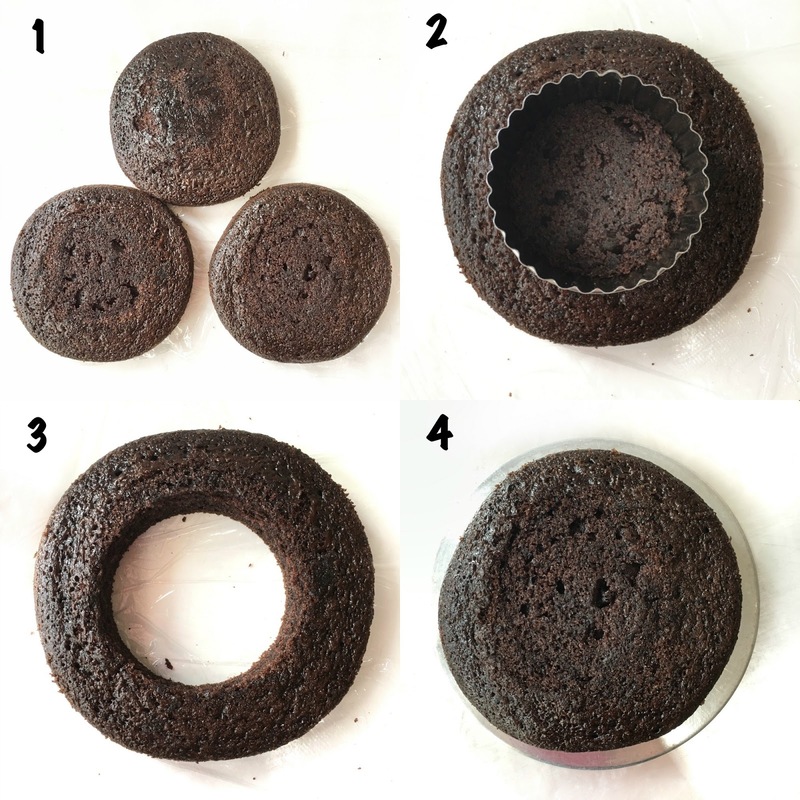 Have you ever cut open a cake to find something interesting in the middle? It could be in the form of a mousse, gelatin layer, crunchy filling or something unexpected like flowing lava? To be honest, I eat with my eyes first. 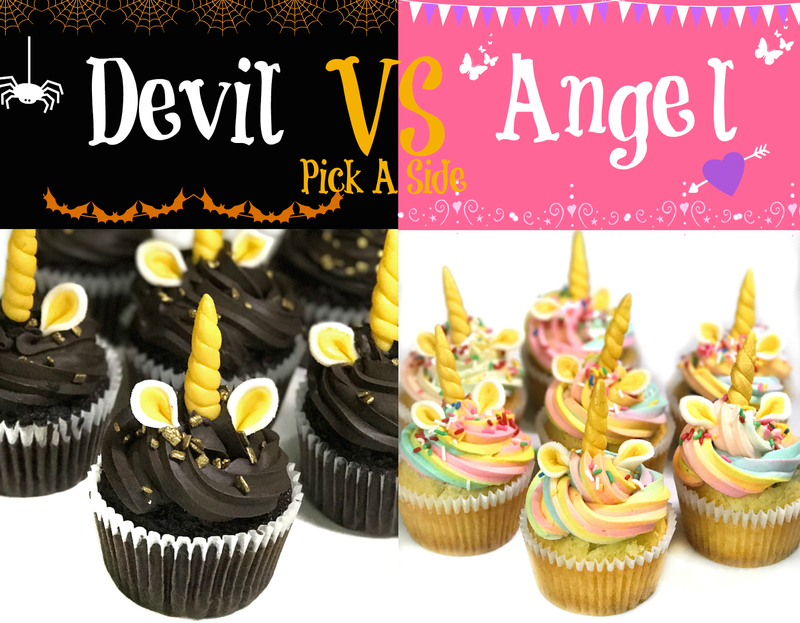 ( You got me at whimsical desserts. Chocolate desserts come in with a close fight as well). Taste comes second. 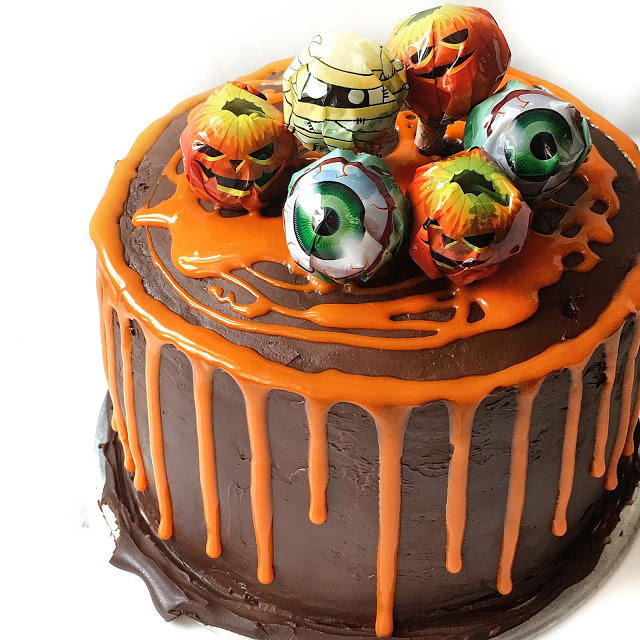 So with Halloween nearing, it’s always nice to surprise people who love to eat. Hmm. I mean love to eat cake. 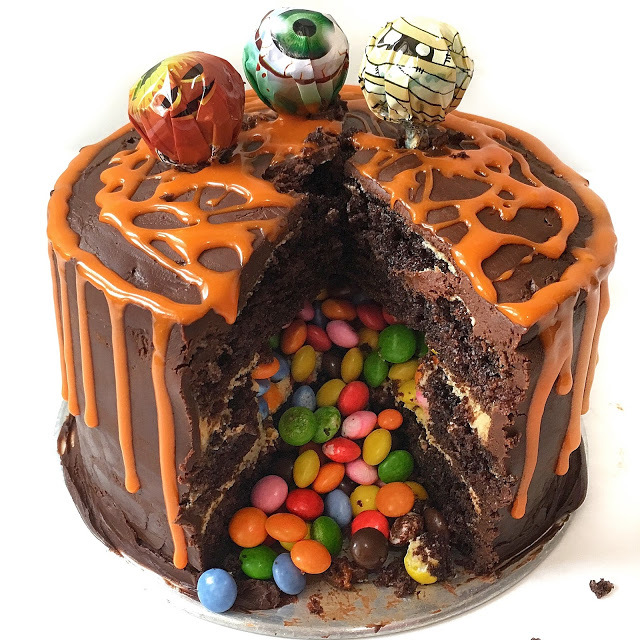 So there came the idea of a piñata cake filled with colorful M&Ms. You can go crazy here with all the stuffing. Always remember you’re the boss of your own cake. Never let anyone else dictate what flavors should go together, design to follow etc. Being conventional is boring. It’s creativity that reigns. 3) This is how the middle layer cake should look like. 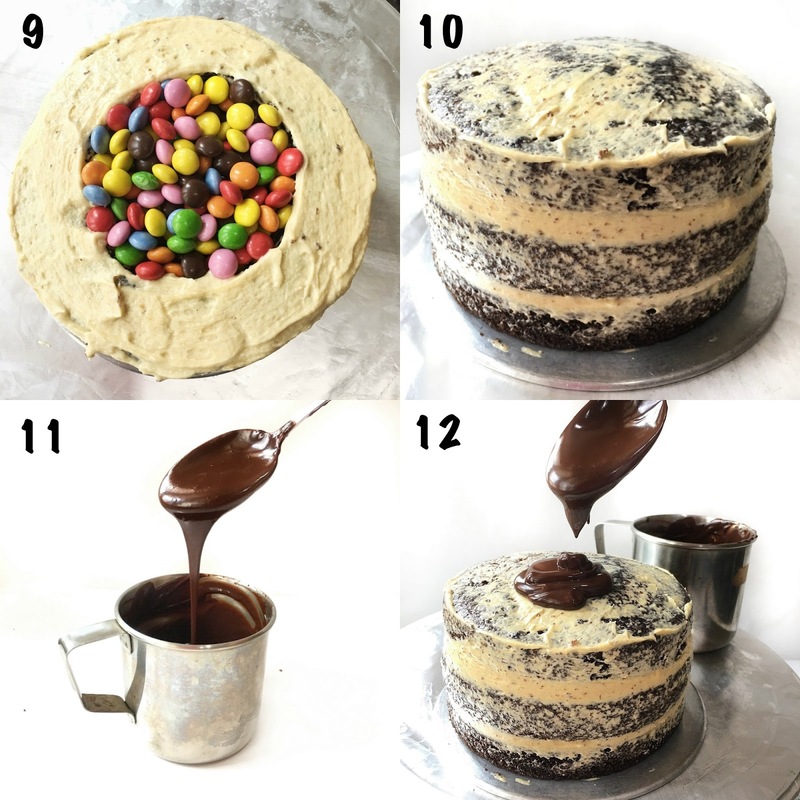 4) Place one layer of chocolate cake on cake board. 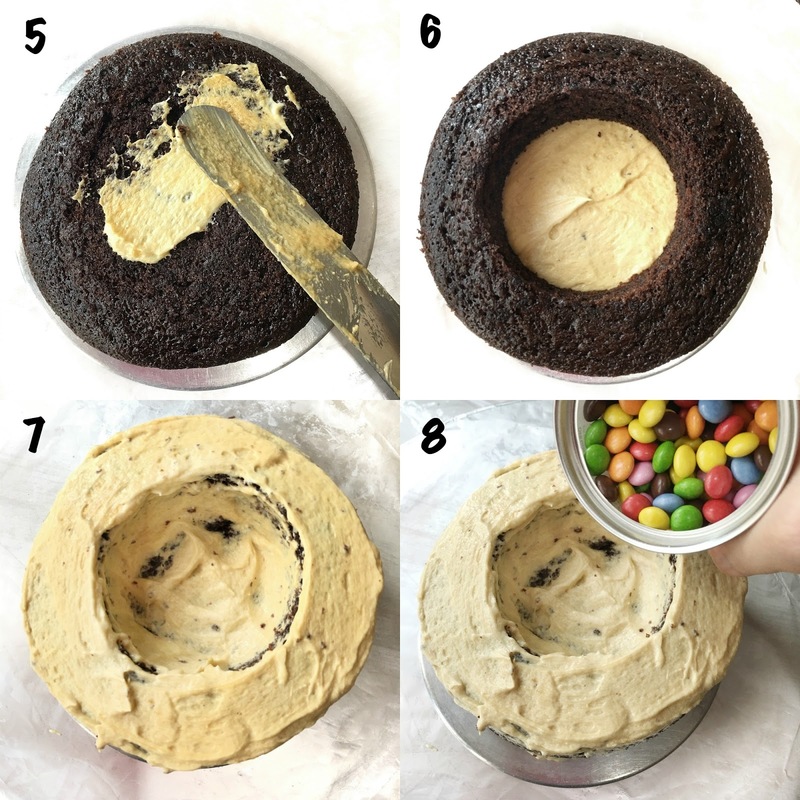 6) Place the layer of cake with the circle hole on top of the first layer. 10) Place last layer of chocolate cake on top and frost the entire top and sides of cake. 12) Frost refrigerated cake with the chocolate ganache and cover it entirely. 13) Prepare your drizzle. 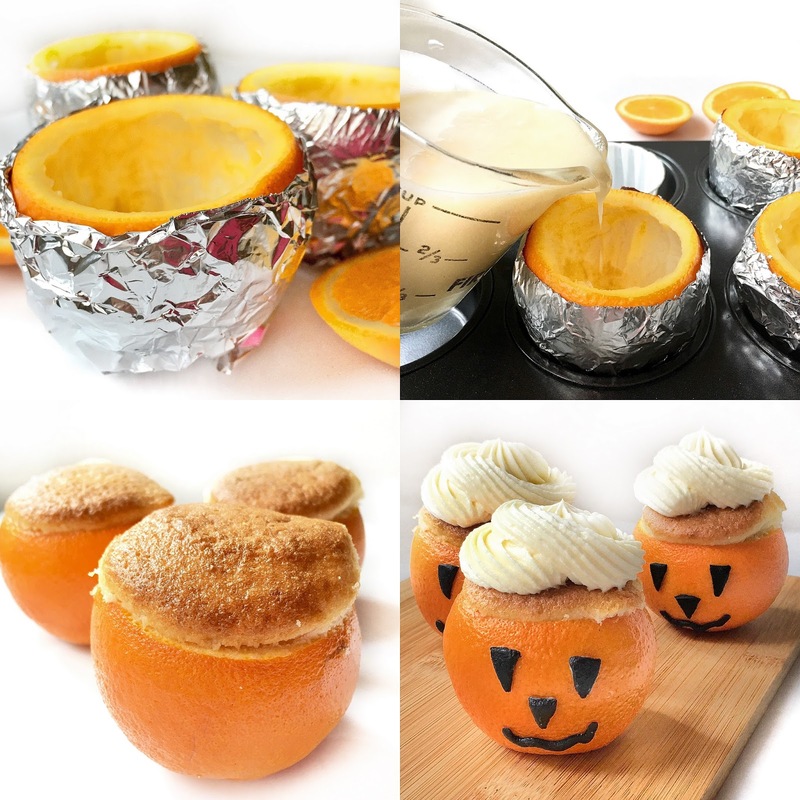 I use white chocolate candy melts mixed with a little Wilton’s orange gel and milk/cream to thin out the drizzle. Using a spoon, drizzle the sides of your cake with the neon orange mixture. 16) It’s raining M&MS. Let it flow… Let it flow. Enjoy!! It doesn’t have to be Halloween to surprise people. Any occasion that calls for cake is a good opportunity to put a smile on someone’s face with that hidden something!! 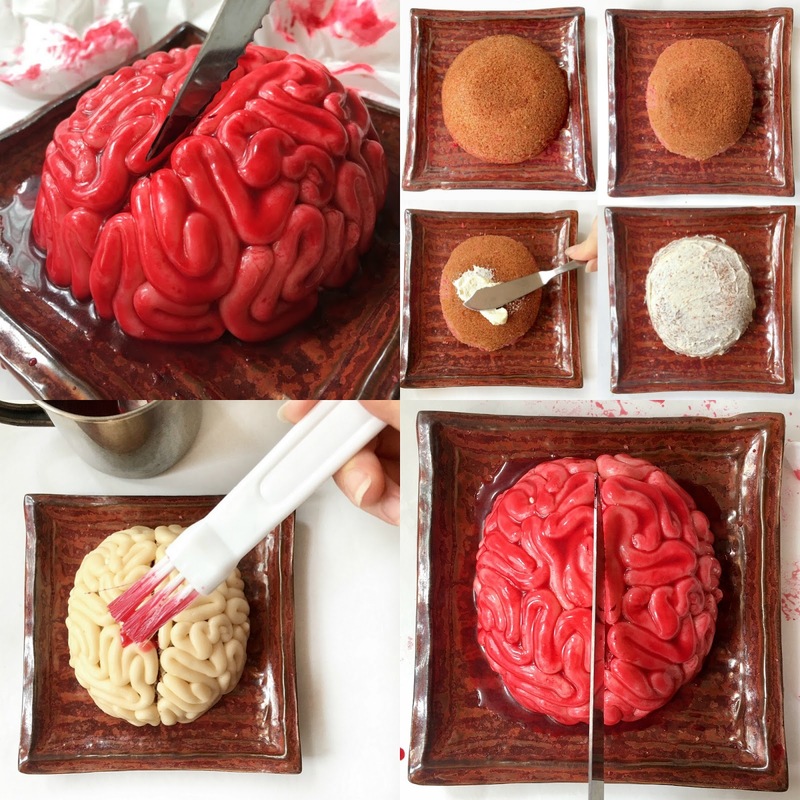 Wow your guest further with this edible red velvet brain cake frosted in a layer of luscious cream cheese frosting, decorated in fondant and then painted with BLOOD. Are you game enough to slice the brain…. or even consume it? 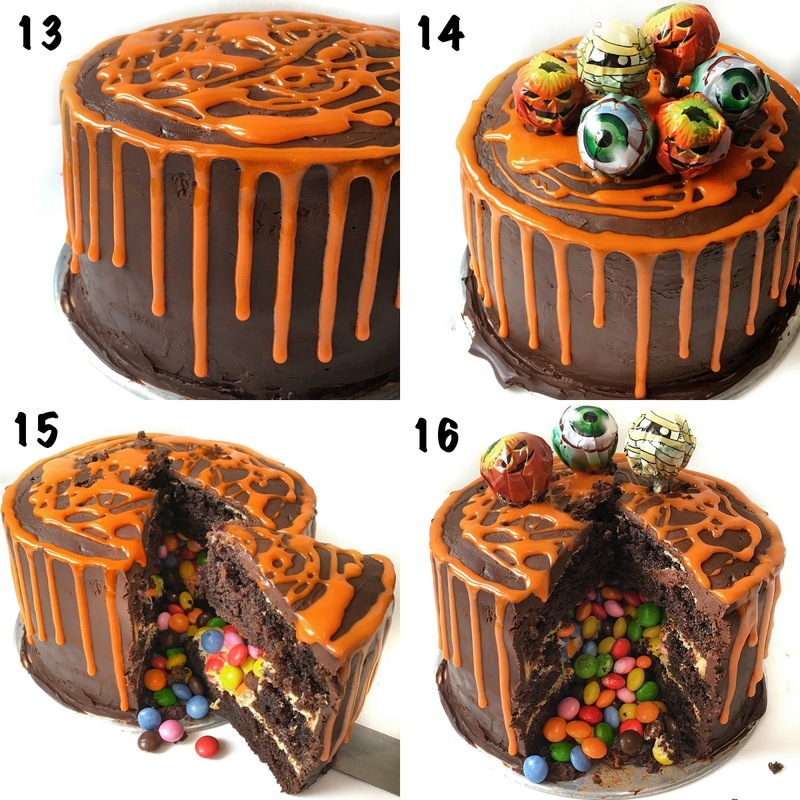 Check out the step by step instructions on how to assemble this brain cake in the link above.